Written for field users, and terminology concisely defined. A mentoring guide highlighting areas for troubleshooting problem-solving when performance criteria are not met. Produced with industry consensus and gone through the same rigorous technical review process as other ETPC procedures. The American Institute of Chemical Engineers (AIChE) is a distinguished professional association that strives to provide leadership in advancing the chemical engineering profession. The Equipment Testing Procedures Committee is composed of engineers with substantial experience in the design and operation of process plants, as well as in solving problems that can arise with the equipment used in these plants. 200.0 EXTENDED DEFINITIONS OF MAJOR TERMS, WITH EXPLANATIONS, CONVERSION FACTORS, AND NOMENCLATURE. 200.5 Net Positive Inlet Pressure (NPIP). 200.11 Revolutions per Minute (rpms). 300.0 TYPES OF PUMPS COVERED IN THIS PROCEDURE. 400.0 GENERAL NOTES ON TEST PREPARATION LOGISTICSINSTRUMENTS AND METHODS OF MEASUREMENT. 500.0 TESTING ROTARY PUMPS (GEAR, MULTIPLE SCREW, LOBE, AND . . . VANE PUMPS). 501.2 Suction and Discharge Pressures. 501.3 Fluid Viscosity at Range of Temperatures. 502.2 Minimum Required Suction Pressure Test. 504.3 Minimum Required Suction Pressure Test. 600.0 PROGRESSIVE CAVITY PUMP TESTING. 701.5 Environment and Inlet Air Temperature. 701.8 Ambient and Inlet Air Relative Humidity. 704.0 Field Test Process Example. 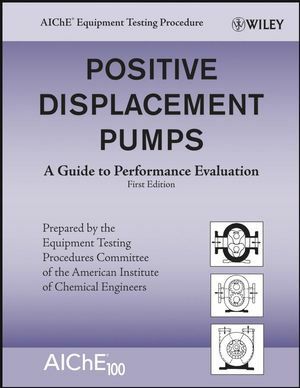 800.0 RECIPROCATING POSriWE DISPLACEMENT PUMP (RPDP) TESTING. 900.2 Appendix B: Bearings and Rotor Dynamics.